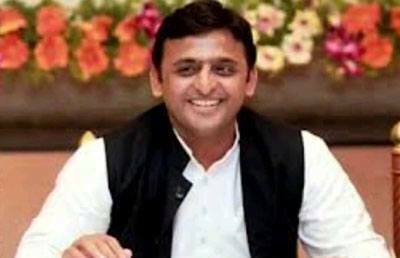 Akhilesh Yadav's details are based on Solar Horoscope (Surya Kundli) with the help of birth date and place, as the birth time is not available. Currently Jupiter is transiting over Venus and Mercury, through the 2nd House of Akhilesh's Solar Chart. It is aspecting the planets posited in the 8th House and the 10th House of his Chart till 14th July 2015. Afterwards, Jupiter will transit through Leo Sign and aspect Rahu posited in the 7th House of his Chart. Retrograde Saturn will be transiting through the 6th House and will aspect retrograde Jupiter in the 8th House till 1st August 2015. Besides, Jupiter is debilitated in his Chart. Rahu is transiting through the 4th House, and Ketu is transiting over Mars through the 10th House till January 2016. Considering the planetary transits mentioned above, Ganesha feels that the decisions taken by Akhilesh Yadav prior to 14th July 2015 will prove to be practical, and most of them will be implementable as the current transit of Jupiter is highly favourable for him. But, Ganesha feels that he may face hardships while implementing the decisions, or he may have to face arguments and adversity as the retrograde Saturn aspects the retrograde Jupiter of his Chart. But, the projects which are in the pipeline will mostly be completed as per the schedule. Although some projects may get delayed, they will be completed at a later stage. The transit of Jupiter through Leo Sign will also be favourable for him, and his position as Chief Minister of UP will be secure, except that he may face adversities and opposition during the transit of Ketu over Mars through the 10th House till January 2016. Thus, he will have to wisely use his political capabilities to solve the troubling issues during this period in order to save his position. Ganesha wishes a great time ahead to Akhilesh Yadav.